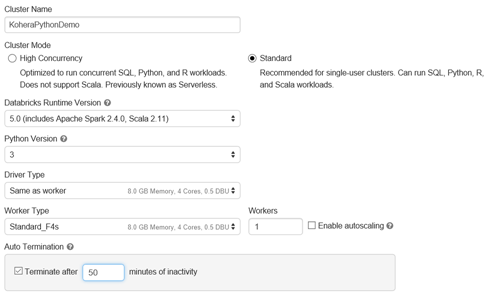 “Connecting to an (Azure) database from within Databricks using revoscalepy by deploying Microsoft’s Machine Learning Server”. I am sure that I am not the first guy typing this line into a search engine, and I’m very sure that I won’t be the last neither. The real power of Python resides in the flexibility of the language and the power of its data frames and the agility to play with data in a very easy way. I made a very useful ELT program in python and wanted it do run inside a Databricks cluster. Databricks on Azure fully supports python 3 so I thought I was up for a walk in the park. Trying to import the database connection classes already gave a small hint of the troubles ahead. Because I am creating my workspace for a rather simple purpose, I create a very simple cluster with limited resources. This opens your workbook, and now we are in our Python workspace. It is here that I started to get some worries almost everything that I could find about working with Azure Database involved JDBC, and somehow I couldn’t get them working as I wanted. Once I started to load, my favorite SQL libraries, like RevoScalePy for example, it’s not loaded. My first (and obvious) guess was to look for an instruction how to load revoscalepy on Databricks. 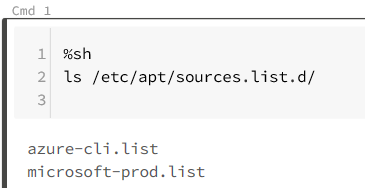 For reasons unbeknownst to me, this instruction doesn’t exist, neither on the Databricks pages, nor on on the Ravoscalepy pages. 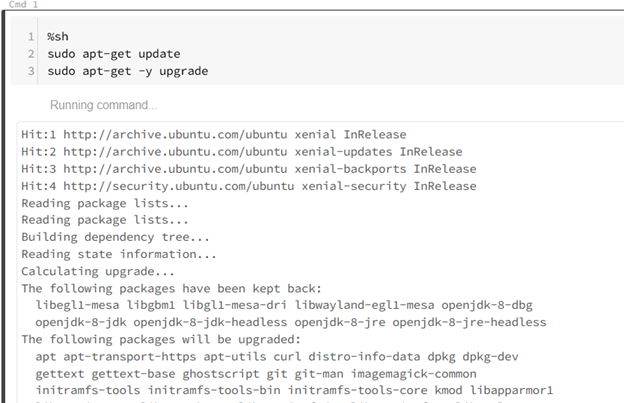 Ok great, we are running on Ubuntu 16.04, time to dust off those Linux Shell skills (always knew they would come in handy sometime) and there is an installation manual for Ubuntu and Revoscalepy Yay! The easiest way to test your shell scripts before turning them into a initialization script, is to run them from inside your notebook. Adding the %sh command, puts your notebook in shell mode, it’s now a graphical linux shell. Let us first update the package manager and it’s repos. # Set the location of the package repo the “prod” directory containing the distribution.